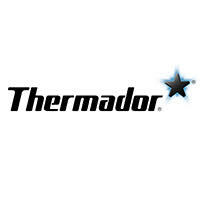 Since 1916, Thermador luxury kitchen appliances have been synonymous with exceptional. We introduced America to the Cooktop, rolled out Steam and Convection Ovens, and opened the door to personalization with Column Refrigeration. Now, we’re introducing all-new Thermador products over two completely redesigned Collections—the biggest launch in Thermador history—so you’re empowered to create unforgettable experiences in the kitchen and beyond with a suite of luxury appliances.